SwagIQ Review: Win (BIG) Cash Prizes Answering Live Trivia Questions! Want to make money answering trivia questions? Then you might want to check out SwagIQ. With the recent popularity of the live trivia game apps like HQ, Swagbucks, the famous survey and rewards sites has also come up with its own version of trivia game app that gives you prizes when you answer trivia questions correctly. And it is definitely one of the more fun ways to make some extra money. In today’s review, we tell you everything you need to know about this app, including how it works, what you can win, and whether or not it’s worth using. It’s a live trivia game show that you play on your phone. Just log in to the app to see what time the game will start. The game involves ten multiple choice trivia questions. It doesn’t last too long either – around 15 minutes. Obviously, the length of the game will vary, since it’s live and the questions will differ. But, overall, these games are pretty short and sweet. The app is totally free to use. Once per day, there’s a live trivia game hosted – there’s even a real-life host who asks the questions. In the game, there are ten questions in total. All of which are multiple choice, which always makes things easier. You have ten seconds to select your answer. When the game starts, you are given a question to answer. If you get the question right, then you move onto the next question, and stay in the running for the grand prize. If you get the question wrong, or if you don’t answer it within the allotted ten seconds, then you’re out of the running for the grand prize. If you get at ten questions right, you and any other users who also answered the questions correctly split the grand prize. The good thing is that even if you don’t win the game, you’ll still earn SB for the questions you did answer correctly. And, if you have enough of them, you can use your SwagIQ currency to buy back into the game – so you get a second chance to win the grand prize. It’ll cost you more SB to buy back in the later it is in the game. 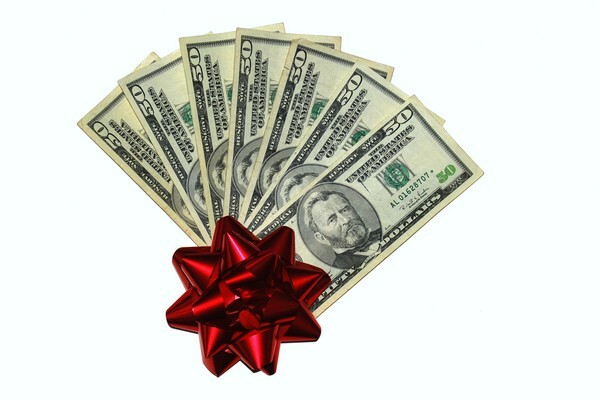 By the way, if you want to earn more Swag Bucks, check out my detailed Swagbucks review and learn how to earn $758.25! SwagIQ advertises that you can win a cash prize. However, prizes are paid to winners in the form of SB points. If you’ve ever used Swagbucks before, then you’ll already know about these. Basically, they’re points that you can redeem for cash via PayPal or for gift cards to popular retailers, like Amazon and Target. Like we said above, if you get all of the questions right, then you’ll split the grand prize with the other winners. If you don’t get all of the questions right, then any SB you earned, unless you used it all to buy back in, can be redeemed for cash via PayPal or gift cards. Well, you’re not going to get rich playing this game, but you can make some quick cash, relatively easily, in the form of SB points. Since the prize is split between winners, it’s difficult to give an exact number for what you can win. However, let’s take a quick look at what other people who’ve played the game report winning on Reddit. On this thread, one user claims they’ve won 565 SB one day and around 2200 SB on another day. One user in the same thread says they won 553 SB and another says they won 774 SB. In this Reddit thread, one user, who didn’t win. says the winners in the game they played won 1500 to 1600 SB. One user on this Reddit thread says the app gave 1400 SB to winners. So, as you can see, people report earning anywhere from 553 to 2200 SB points. This works out from about $5 to $22 per game. Sure, it’s not a ton of money, but it’s such a fun and easy way to earn. Plus, it’s so quick. You can get that cash in 15 minutes or less, and there are few things you can do to earn $22 in 15 minutes! You can redeem your points, as we said above, for cash through PayPal, or put it onto a gift card instead. This is such a quick, easy and fun way to earn money. If you use Swagbucks already, then you’ll find this a super easy way to get extra SB points. And, if you’ve never used Swagbucks before, then it’s a great option for making a bit of extra cash. Online, people generally speak highly of this app. It has 4.4 out of 5 stars on the iTunes store, and an almost four star (3.6 stars) rating on the Google Play store. The most common problem people have with this app is that it lags (which seems to be the exact same issue my girlfriend and many others have with the more popular live trivia app, HQ). Others, however, state the app works fine for them. So, things like your Wi-Fi speed, strength of your internet connection, and what phone you have may have an effect on how the app performs for you. Also, some people report that there are some technical glitches. However, since the app is fairly new, these glitches will likely be ironed out in the future. In fact, in response to customer comments reported by users on iTunes and the Google Play store, the developers say that they are working on fixing technical issues. Overall though, there are not many downsides to the game reported by users. 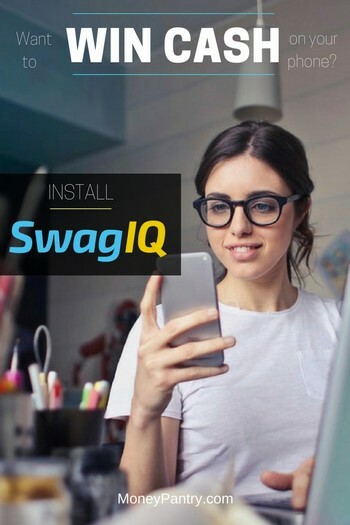 As you can see from our SwagIQ app review, this is such a quick and fun way to earn money that it should be a no-brainer, especially if you like playing games for money and prizes. 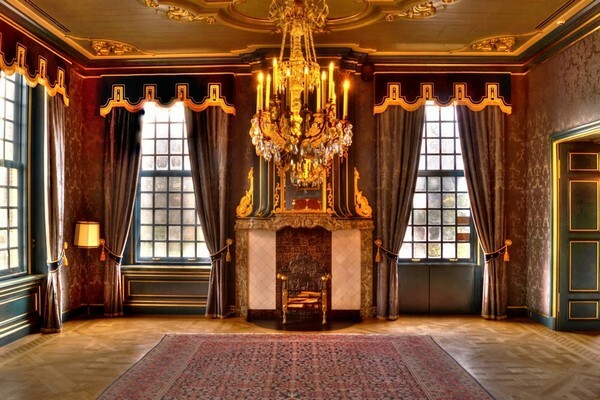 Just answer a few trivia questions, and you’ll earn points. The setup of this app is great too since there’s a host and everything. So, give this one a try, and put your knowledge to the test and earn yourself some SB points in the process. Swagbucks is the real deal. I have ordered and received £75 of Amazon gift vouchers, so far. I can recommend this site.